THE MOCH10 PLANTAR FASCIITIS REMEDY – Finally a remedy for PLANTAR FASCIITIS pain. Now you can live without the debilitating pain of Plantar Fasciitis, (aka Runners Heel). My Moch-10 Plantar Fasciitis remedy can immediately eliminate the PAIN and debilitating restrictions caused by this condition. That's my promise to you! Use it for 14 days and if you're not completely satisfied, return it for a full refund. Runners & Athletes love the Moch10 Plantar Fasciitis Remedy, even after healing. It continues to support and protect the Plantar Fascia ligament from damage due to overuse. What caused your Plantar Fasciitis? It’s all about biomechanics. 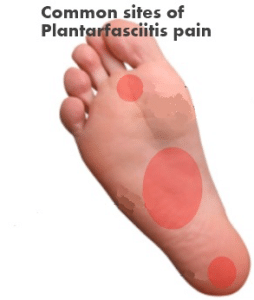 Left untreated, chronic Plantar Fasciitis often transitions to Plantar Fasciosis, a much more difficult condition to treat with much longer recovery times. Plantar Fasciitis, sometimes called Runner's Heel can make your life miserable. The pain can range from a dull ache to just plain excruciating. The condition can occur intermittently or be chronic. Just what is PLANTAR FASCIITIS and what causes it? WHAT IS THE MOCH10 REMEDY? The MOCH10 PLANTAR FASCIITIS REMEDY is a special, Pressure Band Appliance that can be worn with any type of shoe. It's designed to take pressure off the Plantar Fascia Ligament and immediately stop the pain. The Pressure Band Appliance's unique structure holds the Plantar Fascia in an extended, elongated position eliminating pressure on the Plantar Fascia ligament while standing and walking. HOW MUCH DOES THE MOCH10 REMEDY COST? Have you tried every traditional treatment under the sun? Forget about spending more money on Topical Analgesics, Pain Pills, Taping, Special Shoes, Orthotics, or even Cortisone Injections. Instead, try my Moch-10 Plantar Remedy. It's an inexpensive treatment that's sure to stop Plantar Fasciitis pain, or your money back. Buy it now for just $19.95 + $4.97 shipping and handling. If you're not PAIN FREE within 14 days, return it for a full refund!